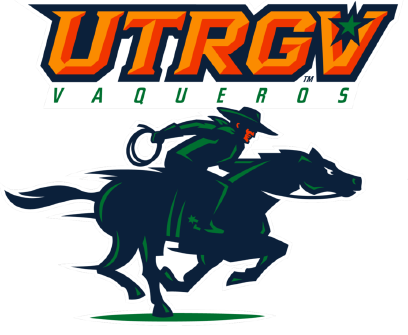 EDINBURG — The UTRGV baseball team scored three runs in the sixth inning to come from behind and beat Sacramento State 7-6 on Saturday at UTRGV Baseball Stadium. Down 5-3 in the sixth, UTRGV (21-22, 6-8 WAC) put runners on the corners with one out to knock out Sacramento State (23-18, 10-4 WAC) starter Parker Brahms. Freshman and Mercedes alum Oliver Closner IV greeted reliever Austin Roberts (1-2) with an RBI double. One out later, junior Anthony Gomez hit a pop-up to short. Junior Roger Varela III and junior pinch runner Conrad McMahon took off running, so when Keith Torres dropped the ball, UTRGV scored the tying and go-ahead runs. UTRGV added a run in the eighth on an RBI double by sophomore Elijah Alexander. Junior Brownsville Veterans alum Luis Acosta (1-2) recorded his first career win with two scoreless innings of relief, striking out two. Junior and McAllen Rowe alum Ryan Jackson pitched three innings for his seventh save, tying for the third-highest single-season total in program history. Jackson is the first UTRGV pitcher to record seven saves in a season since fellow McAllen Rowe alum Andrew Padron converted seven saves in 2015. Sacramento State scored a run against Jackson in the ninth on a Josh Urps sacrifice fly. UTRGV initially got on the board in the second, when juniors Aaron Dees, Ryan Fish and Varela hit back-to-back-to-back triples. One out later, Alexander hit an RBI single to give UTRGV a 3-2 lead. Varela finished with his first multi-hit game, going 3 for 4. Alexander also went 3 for 4. Dees and Fish each added a walk. Sacramento State started the scoring in the second, when Bronson Grubbs and Ian Dawkins hit back-to-back RBI singles. Steven Moretto hit a solo home run with two outs in the third to tie the game at 3. Sacramento State took the lead in the fourth on an RBI double by Dawkins and a Torres sacrifice fly. UTRGV and Sacramento State complete this three-game series at noon Sunday. Fans can receive free general admission by helping UTRGV strike out hunger through the donation of five nonperishable food items. As a thank you, donors will receive free general admission. All donations benefit the Food Bank of the Rio Grande Valley. Gates open at 11 a.m.